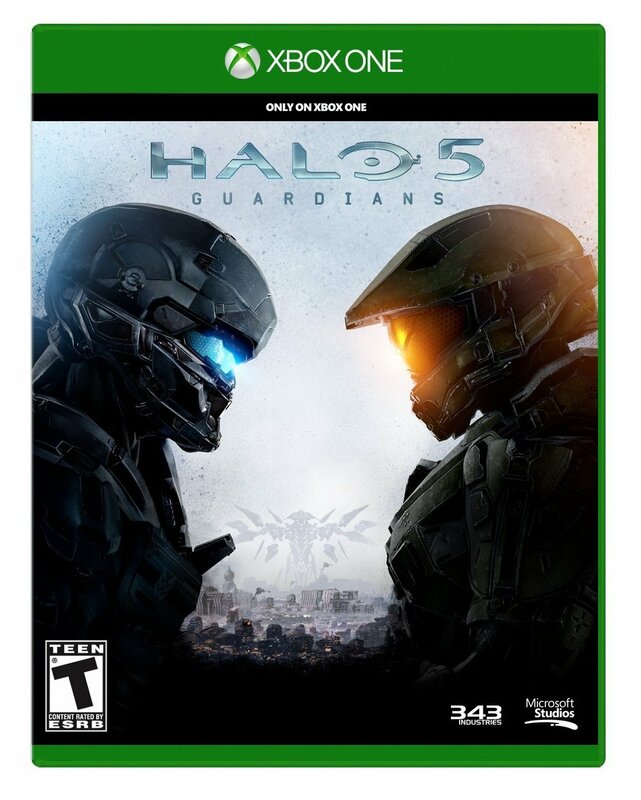 Microsoft’s biggest franchise has finally made it to the Xbox One with the release of Halo 5: Guardians. Well that’s true if you don’t count the Master Chief Collection arriving first, but at this point, I’m confident that not even Microsoft is counting that collection. Luckily, Halo 5 doesn’t seem to suffer from the same issues that the collection did, but I should state that I only used pre-launch servers that were barely used to review this game. That said, Halo 5 also feels like it was built from scratch instead of cobbled together, and it differentiates itself with a bunch of small changes in the same way Shane Black made small changes to Iron Man 3 when he took over directing duties from Jon Favreau. I wouldn’t say that Halo 5 resets the franchise in any way, but it does take all the pieces and mixes them around a bit. What little I will say about the story, mainly to avoid spoilers, is that it’s not what Microsoft has lead you to believe it is with multiple YouTube commercials. That doesn’t make it a horrible story, but I will say that 343 Industries might have saved one too many plot points for the next Halo game. One of the few story specifics I will discuss is the fact that Blue team is back, and I feel comfortable discussing that because it was in the news in April of this year. I know the cat is out of the bag, but it’s almost shocking how quickly their reappearance is glossed over. All hail the conquering heroes… who apparently had their parade and reunion off screen? Microsoft posits a universe where the original Spartans stared down a technologically superior alien force, and it was the alien force that blinked. For the first time ever, we see them. These are the Spartans that changed everything. How about we have a little fanfare for them, then? We could at least have some cake to show them that we appreciated the whole saving humanity thing. Instead, we just join these guys in the middle of their work like it was a Tuesday. I realize that Microsoft has created a huge Halo universe out there and this was probably all dealt with their books; however, not everyone has consumed all that extra Halo material. 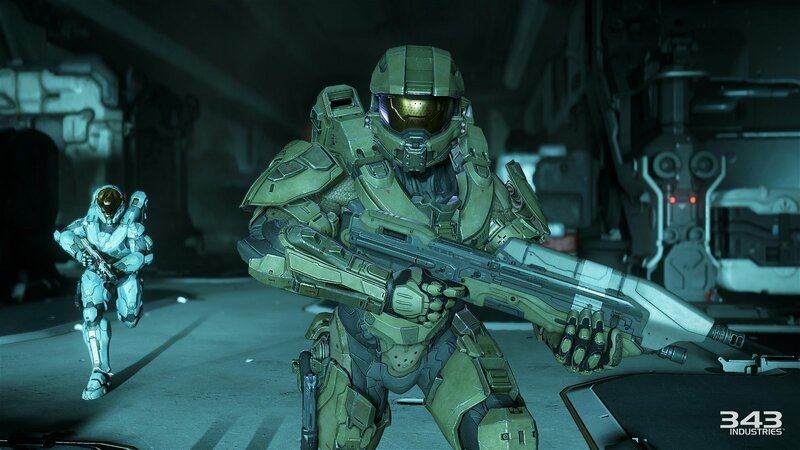 There are some of us who just play the games and, as a result, parts of Halo 5 are confusing in the same way that the Didact of Halo 4 felt confusing both as a character and an antagonist. While we’re talking about Blue team, they’ve been included (along with another 4-person Spartan team called Osiris) in this game to allow for 4-player drop-in/out co-op. You can still play by yourself if you can’t get online, but that experience is not great because the artificial intelligence in this game is just not that smart. One new mechanic of Halo 5 is that you get knocked down instead of outright eliminated, and for game balancing reasons, you’ll get knocked down a lot. When you are down, you can call for help from your team, and that sounds awesome in theory; however, I would’ve been willing to wait for the team to walk around an enemy or two. Instead, they forget about everything else the second you call for help and often that causes them to fall to enemy fire before reaching you. I knew I was in real trouble when the 3 puppets accompanying me couldn’t help me because a chest-high wall the size of a Volkswagen Beetle popped up and they couldn’t figure out the simple process of walking around it. It’s obviously not all bad considering the money Microsoft pumps into these Halo games; there are some parts of the campaign that are truly impressive. The item population gives you a real sense of being in an actual place, the locations you travel to are interesting to see as a fan of the Halo games, the scope of everything you deal with is breathtaking, the characters feel alive and their conversations feel natural, Blue team is back and Fire-team Osiris has Nathan Fillion on it, and for the first time in Halo, there is destructible terrain. There’s also a quick dash that will let you move about 5 metres in any direction to avoid things like a grenade blast, and there is a ground pound that is more useful in theory than practice. Also, while weapons with the ability to zoom have been around since the original Halo, this is the first time it’s been possible to do so with all weapons by pulling the left trigger. Anyone who was concerned that this would make Halo exactly like Call of Duty can relax. The rest of the game feels like Halo and this new zoom doesn’t change the game any more than armour mods did in Halo 3 or dual-wielding did in Halo 2. What Halo fans should worry about is that Halo 5 drops best practice when it comes to gradually increasing campaign difficulty and replaces them with a formula that counts the number of mini bosses already defeated and respawns them all plus one more boss every few levels. Trust me, when you’re fighting 3 identical bosses at once, the whole encounter feels like it lacks originality. Like all Halo games, multiplayer is the other big part here and, this time, it is broken up into 2 sections: Arena and Warzone. 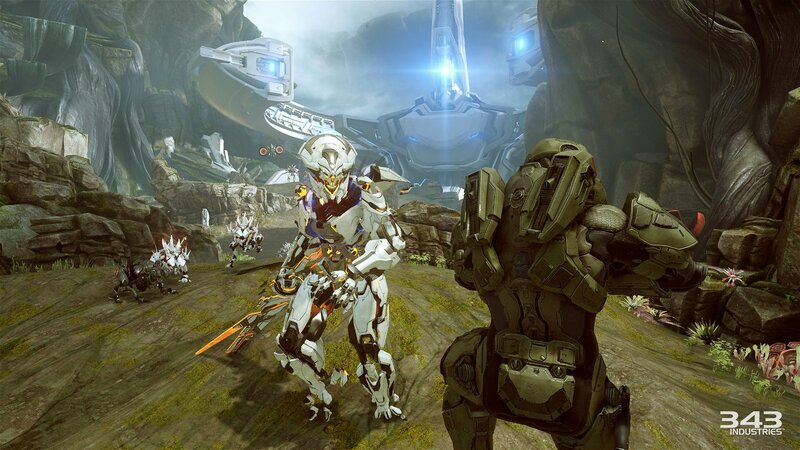 Arena holds all of your standard 4 on 4 game types like slayer, swat, and capture the flag. Warzone is a new mode that consists of 12 on 12 battles where you’ll primarily experience player-versus-player action with a few player-versus-environment goals mixed in. It’s surprising what a difference these PvE experiences make. In most games with big multiplayer experiences, you’ll often have periods with nothing to do, but there is always something to shoot in Warzone. I should also point out that this is where the game’s microtransactions live, and they come in the form of digital trading cards. As players earn experience points, they’ll earn packs full of digital trading cards, or they can buy the packs with real dollars. While playing Warzone matches, you can trade in some cards for the weapons, vehicles, or buffs that the cards depict. Unfortunately, it’s a system that relies on randomly distributing the cards and, like me, you can end up with a ton of cards for the machine gun but none for the Mantis walking tank. This time, all of your Spartan’s customization options are linked to the digital cards as well. Helmets, chest pieces, weapon skins, and even the stance your Spartan will take in the loading screen can be customized. I’d love to tell you how many different options you can fiddle with but, to be honest, there are so many that I could not count them all. Unfortunately, they’re only unlocked when you find them in the card packs. At the time of writing this, I’ve played a lot of Halo 5, and I’ve only found one new helmet, one new chest piece, zero cards for stances, and a whole bunch of machine gun cards. I have to ask you Microsoft, is it really customization when I am waiting for lady luck to pick a new helmet card for my digital avatar and perhaps place it in my next card pack? While I drown in a pile of machine gun cards, I have to admit that I don’t feel like I have much agency over my own avatar. 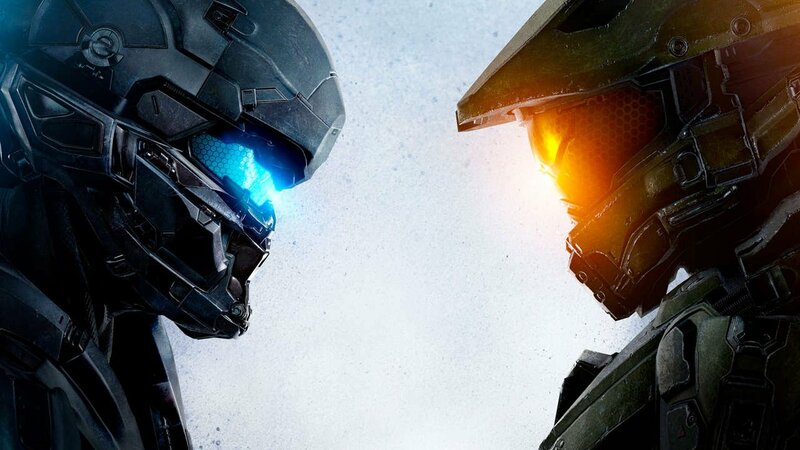 In the end, Halo 5 is a game that Microsoft wants to be a show piece for their console during one of the hardest console wars they’ve experienced and, after playing everything, I believe that they’ll win a few battles with Halo 5 on the front line. I know that I haven’t said many positive things about Halo 5 yet, but that’s due to the fact that no one wants to read rather lengthy review. Instead of wasting 300 words describing shooting mechanics that have been genre-defining for most of the franchise’s history, I decided to talk about all the new stuff; therefore, as a rule of thumb, I would suggest that if it was not mentioned here, you should assume it is probably just the way you left it. Trust me when I say that people who enjoy Halo might have problems with the card system or the story; however, very few Halo fans will dislike the product as a whole.